The Achievement Award is given annually to recognize notable achievements of PSSST members in the field of soil science, instruction, technology transfer, extension administration and research. Dr. Laurean conceptualized the use of structural windbreak as typhoon and wind protection technology, water tank to harvest water during rainy season and to be used during the dry season for rainfed agricultural areas, and the use of interlinksas cheaper substitutes for stones in reinforcing terraces to protect the soil from being eroded. Through the funding of the United Nations-World Food programme, the technology was transferred to the municipalities of Atok and Buguias in 2016 and Bokod and Kabayan in 2017. The success of this intervention in the disaster risk reduction of vulnerable vegetable terraces in Benguet led him again in bringing in the Science and Technology transfer to the Cordillera Administrative Region (CAR). The program which is funded by PCAARRD in the amount of Php43 Mis now being implemented by the Apayao State College (ASC), Abra State Institute of Science and Technology (ASIST), Benguet State Universality (BSU) Ifugao State University (IFSU), and Mountain Province State Polytechnic College (MPSPC). On the part of BSU, it got a share of PhP12, 333, 555.00 for the transfer of technology in Tublay and Kibungan, Benguet. 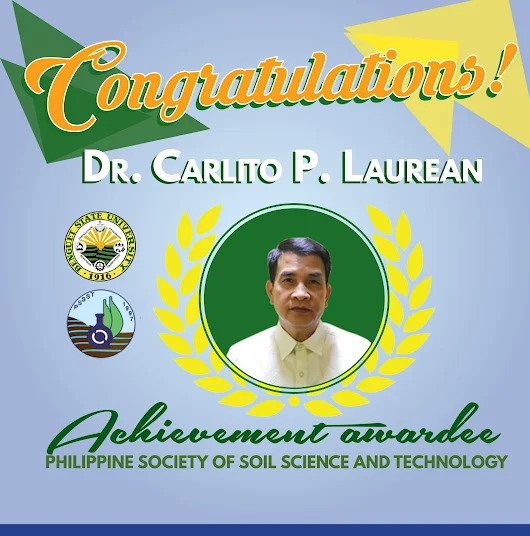 To help develop research skills and provide the necessary laboratory equipment for researchers in the Cordillera, Dr. Laurean spearheaded the establishment and operationalization of the DOST-PCAARRD Cordillera Soil, Water and Plant Laboratory at BSU with an amount of Php 46,496,000. As of this writing, some of the equipment for the laboratory is delivered and the others are soon to be delivered. Dr. Laurean also developed the BSU Growers compost that is geared towards soil health improvement. The compost is now being produced at the Climate Smart Agriculture Center (CSAC) and is bought by BSU researchers and some farmers for vegetable production. To help minimize the use of chemicals in the production of cutflowers, Dr. Laurean initiated a science and technology-based farm on spray-type chrysanthemum production project in collaboration with the LGU-La Trinidad with the use of DOST-PCAARRD-BSU Growers compost integrated with the use of Trichoderma and Mukosaku. The project is being implemented from April 2017 to March 2018 with 30 farmers fromthe La Trinidad Cutflower and Ornamental Growers Association (LATCOGA). With the success of the intervention, he was given another year by DOST-PCAARRD to implement the project on S and T intervention to enhance spray type chrysanthemum production through good agriculture practices (GAP) with another 45 farmers to benefit from the project with additional budget of P3M.